SACRAMENTO, Calif. /California Newswire/ — Today, Calif. Governor Edmund G. Brown Jr. announced the following appointments: First, Roberto Barragan, 52, of North Hills, has been appointed to the California Workforce Investment Board. Barragan has been president of the Valley Economic Development Center since 1999. He was executive director at Community Financial Resource Center from 1993 to 1994 and executive director of the Mission Economic Development Association from 1989 to 1993. This position does not require Senate confirmation and the compensation is $100 per diem. Barragan is a Democrat. Josh Becker, 43, of Menlo Park, has been appointed to the California Workforce Investment Board. Becker was a founding general partner at New Cycle Capital and has been chief executive officer at Lex Machina since 2011. He was founder and chief executive officer at L7L MP Corporation from 2005 to 2007 and director of corporate development at Agile Software from 2001 to 2005. Becker was a founding team member at Redpoint Ventures from 1999 to 2001 and an associate at Brentwood Venture Capital in 1999. He earned a Juris Doctorate degree and a Master of Business Administration degree from Stanford University. This position does not require Senate confirmation and the compensation is $100 per diem. Becker is a Democrat. Robert Beitcher, 58, of Santa Monica, has been appointed to the California Workforce Investment Board. Beitcher has been president and chief executive officer at the Motion Picture and Television Fund (MPTF) since 2010. He was co-chairman of the MacAndrews & Forbes Media Group Inc. from 2007 to 2009. Beitcher was president and chief executive officer at Panavision from 2003 to 2008, president of Technicolor Creative Services from 2000 to 2003 and president and chief executive officer at Consolidated Film Industries from 1997 to 2000. He has been a member of the Academy of Motion Picture Arts and Sciences since 1999. Beitcher earned a Master of Arts degree in British and American literature from Stanford University and a Master of Business Administration degree from Columbia Business School. This position does not require Senate confirmation and the compensation is $100 per diem. Beitcher is a Democrat. Imran Farooq, 28, of Riverside, has been appointed to the California Workforce Investment Board. Farooq has been partner at Omnius Group LLC since 2011 and was principal of Omni International LLC from 2008 to 2011. He was deputy director at the Green Institute for Village Empowerment from 2006 to 2008, project manager at the Green Valley Initiative from 2007 to 2008 and a development specialist at the Riverside County Economic Development Agency from 2005 to 2006. Farooq is chair of the Western Riverside County regional committee and has served on the Riverside County Workforce Investment Board since 2007. He earned a Master of executive leadership degree and a Doctor of Policy, Planning and Development degree from the University of Southern California. This position does not require Senate confirmation and the compensation is $100 per diem. Farooq is registered decline-to-state. Chris Hill, 35, of Santa Monica, has been appointed to the California Workforce Investment Board. Hill has been chief strategy officer at Mycotoo since 2012 and principal at CH Advisors since 2010. He was senior vice president at IMT Capital LLC from 2007 to 2010 and served in various positions at IMT Residential from 1999 to 2006, including vice president, finance manager and principal transaction manager. Hill has served in various positions on the Yale Club of Los Angeles board since 2000, including treasurer. This position does not require Senate confirmation and the compensation is $100 per diem. Hill is a Democrat. Michael Kelly, 42, of Redondo Beach, has been appointed to the California Workforce Investment Board. Kelly has been executive director at the Los Angeles Coalition for the Economy and Jobs since 2010. He was manager of California government relations at the Boeing Company from 2006 to 2010 and held various positions at the California Film Commission from 2001 to 2006 including deputy director and associate director. 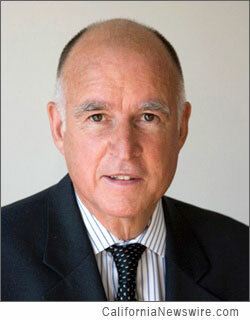 Kelly served in various positions at the Office of the Governor of California from 1999 to 2001, including deputy cabinet secretary and special assistant. He earned a Master of Arts in public administration degree from the University of Southern California, Sol Price School of Public Policy. This position does not require Senate confirmation and the compensation is $100 per diem. Kelly is registered decline-to-state. Laura Long, 40, of Manteca, has been appointed to the California Workforce Investment Board. Long has served in various positions at Kaiser Permanente since 2009, including director of national workforce planning and development and national workforce planning consultant. She was a health educator and project director at Stanislaus County Health Services Agency from 2002 to 2009, state workforce training coordinator at the Northern California Cancer Center from 1999 to 2002 and pharmacy clerk and over-the-counter product coordinator at Long’s Drugs from 1989 to 1999. Long has been a member of the Health Workforce Development Council in California since 2013. She is vice chair of the California Hospital Association Workforce Committee, and has been a member since 2009. Long earned a Master of Business Administration degree from St. Mary’s College. This position does not require Senate confirmation and the compensation is $100 per diem. Long is a Democrat. Karl Mehta, 42, of Fremont, has been appointed to the California Workforce Investment Board. Mehta has been a venture partner at Menlo Ventures since 2013 and was founder and chief executive officer at Playspan from 2007 to 2012. He has been an advisory board member at the Ralph W. Leatherby Center for Entrepreneurship and Business Ethics at Chapman University, and Simpa Networks board of directors member since 2012. Mehta has been a White House Presidential Innovation Fellow for the 20 Percent Initiative since 2012 and has been an Intel Capital advisory board member since 2011. This position does not require Senate confirmation and the compensation is $100 per diem. Mehta is a Democrat. Stephen Monteros, 50, of Rancho Cucamonga, has been appointed to the California Workforce Investment Board. Monteros has been vice president of operations and strategic initiatives at SIGMAnet since 2010. He was chief operating officer at Linear Systems from 2007 to 2010 and general manager at Gold Star Technology from 1997 to 2007. Monteros has been a Cerritos Community College Foundation board member since 2004. He earned a Master of Science degree in marketing from La Salle University. This position does not require Senate confirmation and the compensation is $100 per diem. Monteros is a Democrat. Catherine O’Bryant, 64, of Agoura Hills, has been appointed to the California Workforce Investment Board. O’Bryant has worked in multiple positions at O’Bryant Electric Inc. since 1978, including business manager, security and operations manager, responsible managing officer and president. She has served as a management trustee for the Joint Apprenticeship Council, Electrical Training Institute, and the International Brotherhood of Electrical Workers/National Electrical Contractors Association Health Trust Fund since 2011. O’Bryant was a management trustee for the Southern California International Brotherhood of Electrical Workers/National Electrical Contractors Association Health and Pension Trust Fund from 1997 to 2002. This position does not require Senate confirmation and the compensation is $100 per diem. O’Bryant is a Republican. Kimberly Parker, 46, of Elk Grove, has been appointed to the California Workforce Investment Board. Parker has been chair of the Sacramento Employment and Training Agency since 2006. She has been executive vice president of the California Employers Association, and chair of the Employer Associations of America board since 2002. Parker was operations manager at Cardinal Coated Glass from 1999 to 2002 and human resources director at the Oregon Glass Company from 1994 to 1999. This position does not require Senate confirmation and the compensation is $100 per diem. Parker is a Democrat. Ulysses Romero, 35, of Los Angeles, has been appointed to the California Workforce Investment Board. Romero has been founder and president of Tierra Mia Coffee Company since 2006 and has served in multiple positions at Romero’s Food Products Inc. since 2004, including board member and board advisor. He was an entrepreneur from 2004 to 2006 and a community investment officer at the United Way of Greater Los Angeles from 2001 to 2002. Romero was an analyst at Mercer Management Consulting from 1999 to 2000. He earned a Master of Business Administration degree from the Stanford Graduate School of Business. This position does not require Senate confirmation and the compensation is $100 per diem. Romero is a Democrat. Floyd Trammell, 42, of Oakland, has been appointed to the California Workforce Investment Board. Trammell has been executive director of the West Bay Local Development Corporation since 2003 and senior pastor at the First Friendship Institutional Baptist Church since 2002. He was a business instructor at the City College of San Francisco from 2001 to 2005 and operations manager at the Third Baptist Church of San Francisco from 1996 to 2002. Trammell has been an Ella Hill Hutch Community Center board member since 2009 and was president of the Fillmore Community Jazz District from 2010 to 2012. This position does not require Senate confirmation and the compensation is $100 per diem. Trammell is a Democrat. Carol Zabin, 57, of Berkeley, has been appointed to the California Workforce Investment Board. Zabin is research director at the University of California, Berkeley Center for Labor Research and Education, where she has served in various positions since 1998, including chair. She was visiting professor at the University of California, Los Angeles from 1994 to 1998 and assistant professor of economics at Tulane University from 1992 to 1994. She earned a Doctor of Philosophy degree in economics from the University of California, Berkeley. This position does not require Senate confirmation and the compensation is $100 per diem. Zabin is a Democrat.